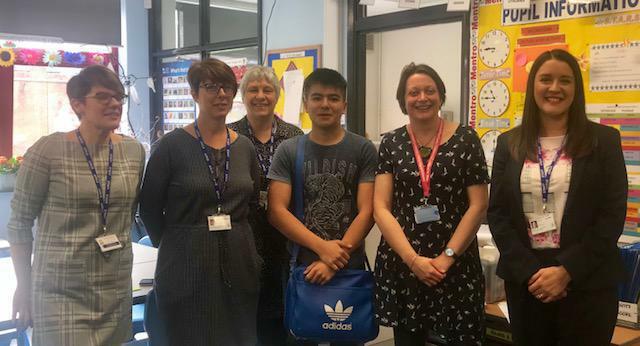 Today we welcomed the Children's Commissioner for Wales Sally Holland and Jane Houston, Participation Officer to the Bridge as part of her consultation work with learners about their rights. The Bridge is a Rights Respecting School and our staff (Mrs Morris, Virginia Richards, Emily Medway) spoke to Sally about the impact of RRS on the improvement journey of the Bridge as a PRU and how learner voice has influenced our development. We were joined by the Director Lindsay Harvey, Group Manager Michelle Hatcher and Andrew Slade Chair of the Management Committee, all of whom have supported our RRS journey in their respective roles. 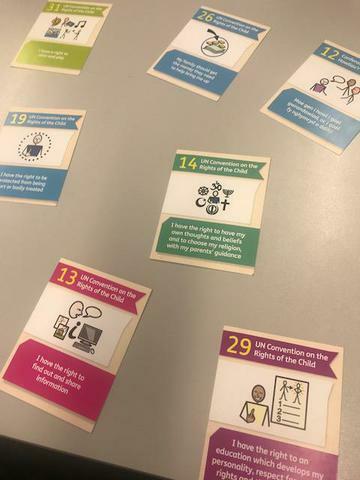 Sally was keen to ask learners through a series of workshop activities which rights, in their view, are most important and where there may be barriers. Our learners from KS3 and 4 showed great emotional intelligence and insight, sharing some personal and global examples of children's rights not being upheld and how they felt about it. 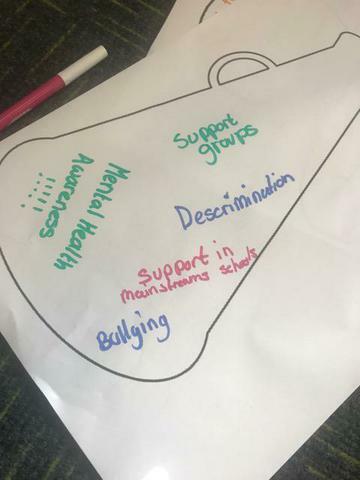 The learners were able to reflect on their own and shared experiences and what they had learned from them that could help others - discrimination and difference, plus timely access to services and support were the main themes. 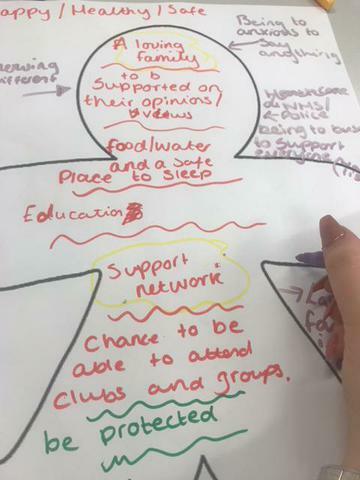 The group were also able to give Sally some ideas about aspects of rights that could be further developed for her to use when planning her future work and engagement with Welsh Government.